Facebook’s Website Custom Audience is my favorite marketing tool. It allows advertisers to target a very valuable group of users: Those who have visited their website. Advertisers are able to tell Facebook to create lists of users who have visited a website generally or specific pages of that website. That is done by placing a unique pixel on the tracked website. That pixel needs to be copied and pasted between the HEAD tags of every page of the tracked website. This only needs to happen once. Each ad account is given only one pixel. So that code should be placed on the website template so that it appears on all pages. 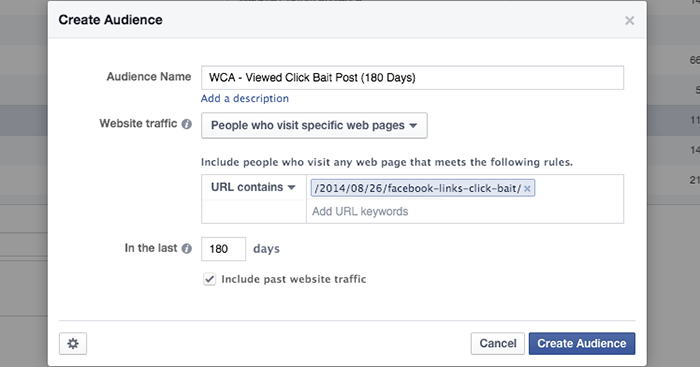 This way, Facebook tracks every website visitor. Separate lists can then be created based on rules that the advertiser creates. I do not need to add a pixel for each rule since they all use the same pixel. Facebook simply orders users into lists based on the rule that was created — and the pages that were then visited. So now you understand how Website Custom Audiences work. You know that you only have one pixel per ad account, and that it only needs to be added once to the template of your website. But what if you are managing multiple websites? 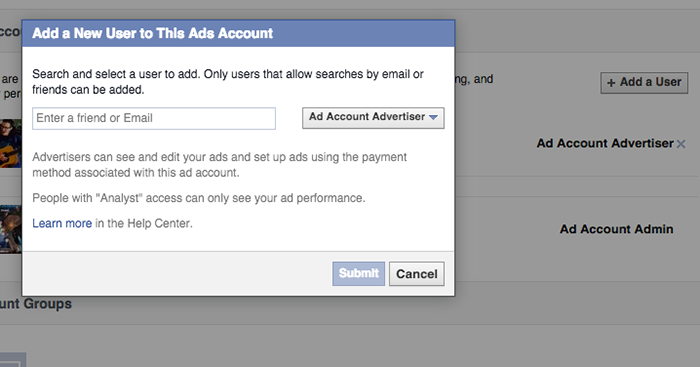 This comes into play most often for consultants or agencies that manage the Facebook ads for multiple clients. 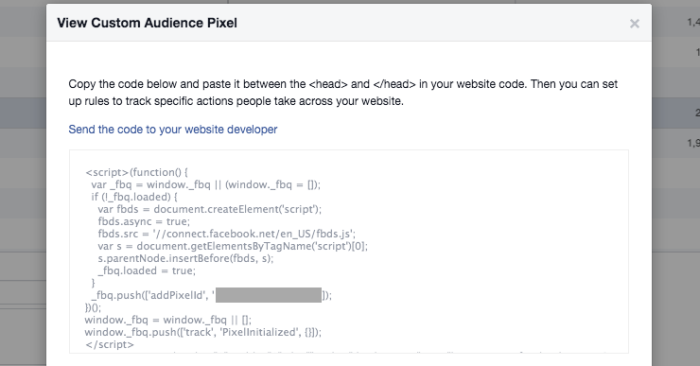 Would you really want to apply the same pixel to all websites? If you manage multiple clients, you absolutely should not add your pixel to those websites. You would need to be sure that your clients remove that pixel when you are done working with them, and this simply creates too much possibility for confusion later. The best solution in this case is to be added to the client’s ad account. Since each ad account has its own Website Custom Audience pixel, this would solve your problem. You would then create Website Custom Audiences and run ads while managing the client ad account. You would do that by selecting their account in the top left drop-down of Power Editor. You will then only have control over those Custom Audiences and ads for that particular ad account. If you manage advertising for multiple clients, I will always recommend that you be added to their ad accounts. Not only does this help with Website Custom Audience pixels, but the client will then be billed directly for ads run instead of applying to your own account. Once added, you’ll be able to download all advertising from this new account to Power Editor and create Website Custom Audiences with a pixel unique to that ad account. The method above is the cleanest way to create Website Custom Audiences for multiple websites, particularly if you don’t own some of those sites. But what if you own multiple sites? 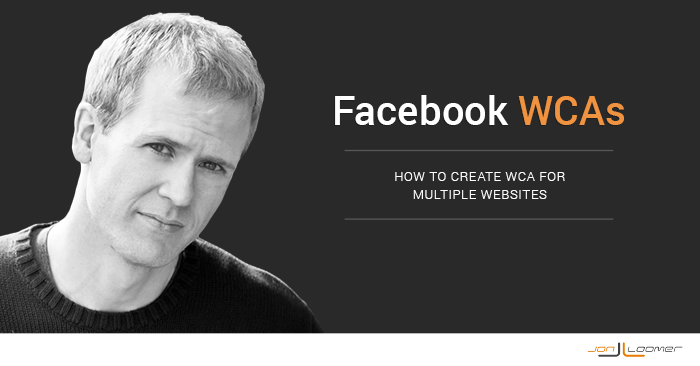 In this case, you’ll be creating Website Custom Audiences under the same ad account, and those WCAs will be separated using rules. If I had my pixel on multiple sites, I wouldn’t want to use the “All Website Visitors” method described earlier. 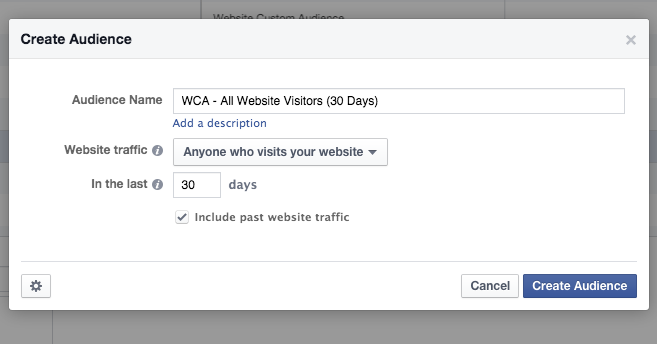 Particularly if the sites are unrelated, that would result in Facebook building a list of visitors to all of my websites. In the example above, Facebook is building a list of all visitors to websites with my pixel on it that had “jonloomer.com” in the URL. I’d do the same thing for the other websites within my control. 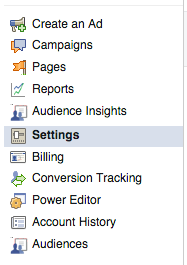 I’d also create Website Custom Audiences for specific pages. This process wouldn’t change much, but I’d be sure to include the full URL just in case multiple sites have the same path. Have you been creating Website Custom Audiences for multiple sites? How have you been doing it?